Verder`s representative - Global Pumps in Australia will be displaying our innovative range of pumps for the mining industry. Global Pumps will be at Stand 1020, the first stand on the right hand side next to main entrance of the dome. Contact Global Pumps to receive entry pass or register to visit us at AIMEX Be there! 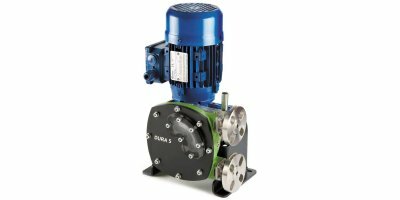 No reviews were found for Verderflex - Model Dura 5 - Industrial Peristaltic Hose Pump and Tube Pump. Be the first to review!